I'm contemplating another break-up. This time with my KiwiSaver provider who shall remain nameless. It's not that I'm unhappy with the performance, it's the fees. They're off the chart. I'm not convinced they're justified. Jack Bogle, the 83-year-old founder of the low-cost index tracker Vanguard, calls it the "tyranny of the compounding costs." Bogle, quoted in this excellent piece from the Economist, says as well as being schooled in the magic of compounding interest, investors needs to be taught about the long-term costs of fee gouging fund managers whose business has grown exponentially in the past few decades. While it stands to reason that fees should go down with volume, it just ain't happening, says Bogle. The article notes that "between 1997 and 2011, the average equity mutual fund returned 173.1%; the average investor (weighted by dollars invested) earned just 110.3%." "The assets of the mutual-fund industry have risen from $5 billion in 1960 to $6 trillion at the start of this year, but the annual expense ratio of the average equity fund has risen from 0.5% to 0.99%. If economies of scale have been achieved, they have not been passed on to the individual investor. Do you know what your expense ratio is in KiwiSaver? If not, you can look it up here. Of course, the other tyrant you need to worry about with investments is tax. Morningstar NZ has just completed a first of a kind after tax return survey for KiwiSaver which helps to give investors an idea of how much of their return gets eaten away by the taxman. Not all funds are taxed equally because different asset classes are subject to differ rates. That and investors are taxed at their marginal tax rate. One of my guilty pleasures is watching the Trailer Park Boys. It's low brow humour at its best and I love it for some warped reason. Probably because I do not live in one. 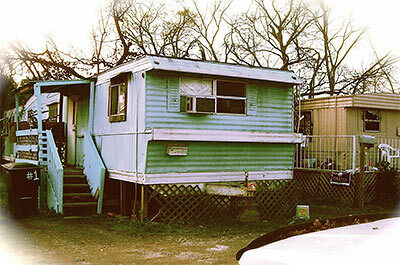 Money writer Don McNay, in this Huffington Post article, cleverly devised a trailer park test for the purposes of personal finance. He got the idea from his daughter, who whilst screening rich suitors, would ask herself if she could imagine living with the bloke (in a trailer park) if he were dead broke. A test for true love? Maybe. McNay, who advises clients who have come into sudden money, suggests using a reverse trailer park test with respect to the individuals who suddenly cram your life when the money comes. Could you imagine these well meaning sycophants if you were living in a trailer park? If not, give them a pass. MMM in his latest blog gives some DINKs serious stick over their ridiculous petrol bill as well as some sound advice on how to restructure their finances to get rid of nagging student debt whilst meeting some long-term goals. A good laugh and informative, as usual. 5) As good as it gets? David Potts, writing the Age Money section, summarises the state of the global economy and says investors should lower their expectations, for a long, long time. Sigh. #1 Amanda you say "This time with my KiwiSaver provider who shall remain nameless", but why not just name them and quote the fee amount? you aren't slandering anyone or to the best of my knowledge breaking any laws. In fact why not use your extensive kiwisaver knowledge to publish a regular little table of say your Top 10 kiwisaver funds based on something like the last 5 years returns and fee's charged etc? I don't know if you don't do this already in some capacity but for people like me who suffer from a narcoleptic effect after about 5 minutes of looking at financial reports, it would be invaluable to have a SME like yourself produce a Kiwisaver provider rating. Heck, I'd probably even pay you for it. Cheers. "The article notes that "between 1997 and 2011, the average equity mutual fund returned 173.1%; the average investor (weighted by dollars invested) earned just 110.3%. Amanda this is pretty standard and reflects the entry and exit of investors rather than fees. They buy in after a period of strong performance and sell after weak. I have seen similar research on direct share ownership where the market average has outperformed the average investor for the same reason.